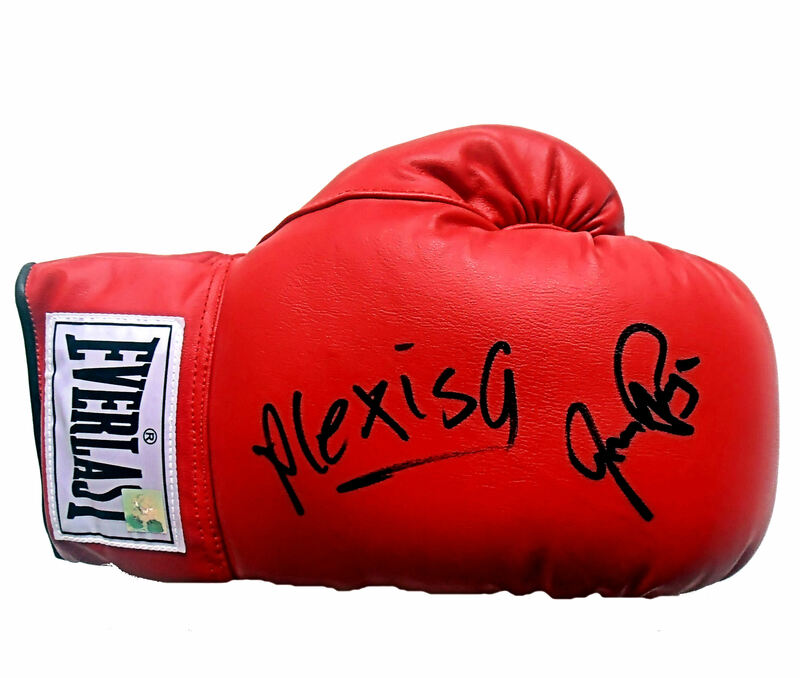 Description : Here we have a fabulous dual signed glove from 2 of boxing greatest warriors & legends. Who can ever forget the two titanic & brutal battles between these 2 titans of the ring. 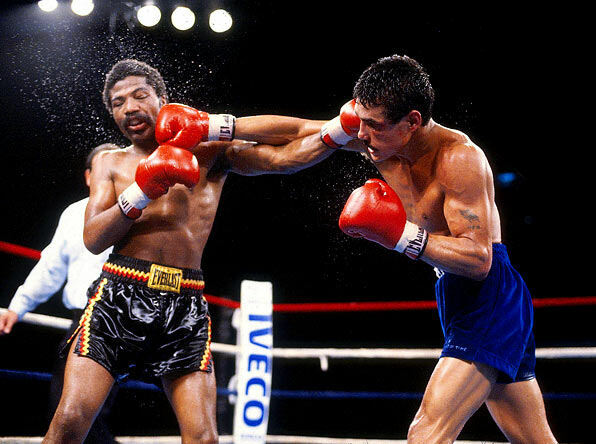 Arguello had previously won three boxing titles (at Featherweight, Junior Lightweight and Lightweight) and hoped to become the first boxer ever to win world titles in four divisions by adding the Jr. Welterweight title when he challenged the reigning WBA Lt/Welterweight champion Aaron "The Hawk" Pryor..... Billed as the "Battle of Champions"......Both fighters had radically opposing public images. Arguello was suave, sophisticated, and extremely humble about his impressive accomplishments, which garnered him great admiration from both the boxing community and the media. Pryor,on the other hand, was fearsome, intimidating & possessed great talent. 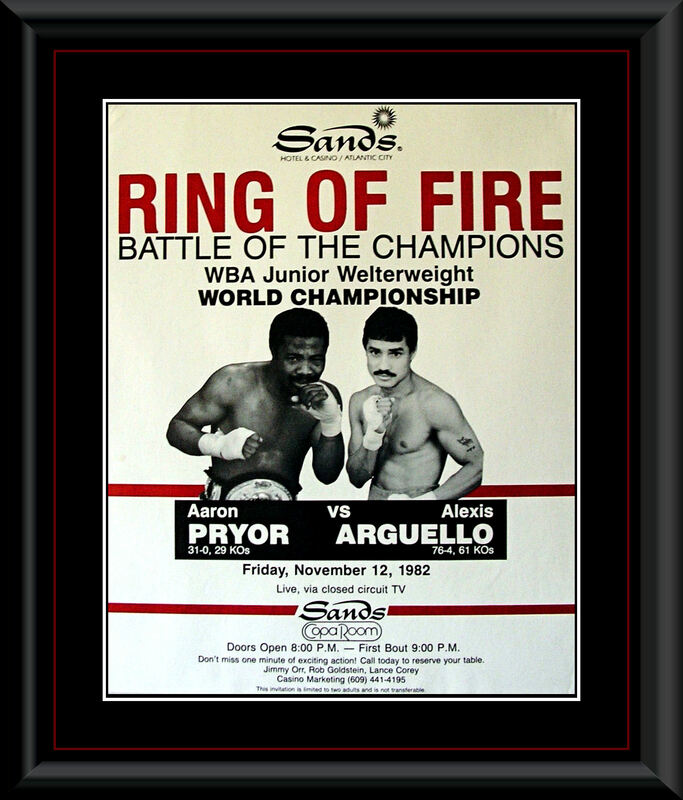 The fight was as brutal as it gets, Pryor stopped Arguello in the 14th round & also in the 10th round of a pulsating rematch held at caesars palace Las Vegas.....This dual signed glove also comes with a COA from Global Authentics juxtaposed with an LOA from KOfightposters.com for lifetime & beyond.